Located in the outskirts of Hamilton City, Fort Hamilton is a picturesque site overlooking the lush gardens and the harbor. 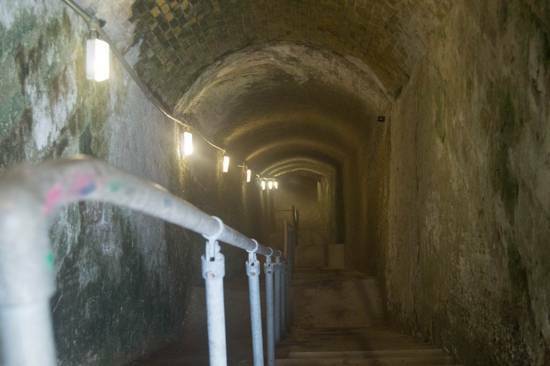 It was built in 1870s to protect the Hamilton Harbor and form a line of defense for the western Royal Naval Dockyard. Today it offers spectacular views over the rooftops of Hamilton, especially when cruise ships are in port. The upper levels and battlements have been landscaped with lawns, which make a fine place for a summer picnic. You will need to enter through an wooden bridge. There are plenty of canons and ramparts inside. 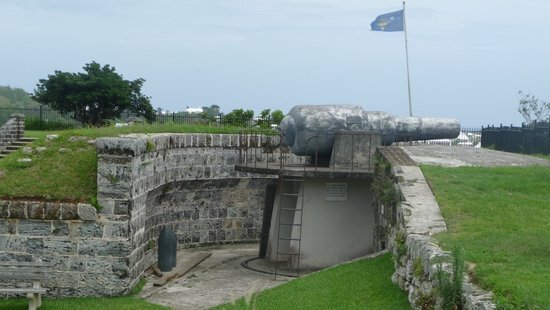 These large cannons that stand guard over Hamilton port never had to be fired to defend enemy attacks. 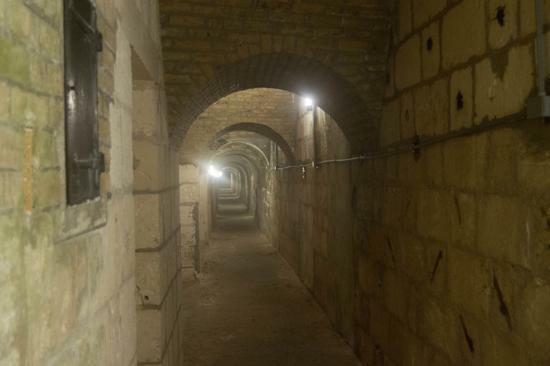 Long tunnels in the depths where originally dug as the protected routes through which the ammunitions were replenished. They also lead to 30-foot wide deep moat surrounding the fort. This used to be a dry moat once and acted as the first line of protection against manned assault. But now the moat has been converted into a splendid tropical gardens with varieties of giant bamboo and fern. Creeping plants now climb the walls providing home to numerous birds, frogs and lizards. There is a narrow trail that goes all along the circular moat. As you walk along this trail, with intimate nature and only chirping of birds breaking the silence, you will surely forget how close you are actually to a busy city. After losing its significance as a fort even before it was fully constructed, it became a garbage dumping ground. George Ogden, the Park Superintendent with his tireless effort finally turned it into such a wonderful site with lush gardens all around. 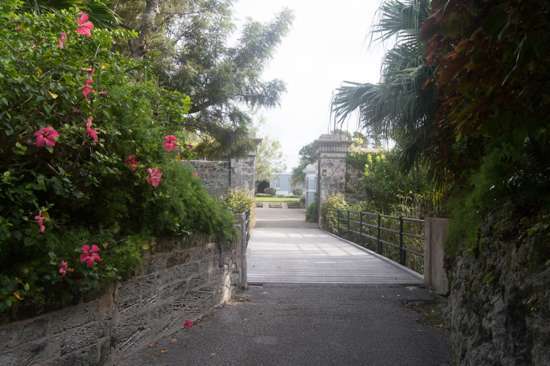 Fort Hamilton today is managed by Corporation of Bermuda and now has a plant nursery. Every Monday noon from November to March, the fort hosts a display by the Bermuda Island's Pipe Band with kilts and highland dancers and drummers. The show known as Skirling Ceremony is held for 30 minutes. This is known as the Skirling Ceremony. During the Halloween Week, there are many entertainment events organized at the fort. One of the very popular ones with the kids is the Haunted Playground which takes place in the dungeons and moat gardens where the actors dress up like monsters and move around. 9:30a.m to 5p.m daily. There is no admission fee. 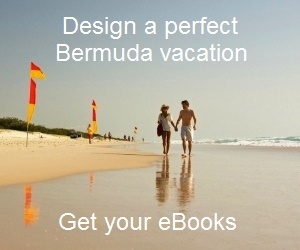 Check out Bermuda Tourist Map to view the location of the fort and other attractions nearby. Happy Valley Road, Hamilton City. Phone: 441/ 292 1234. From Front Street walk towards east and take left towards King Street. Walk up the steep incline of Kings Street and turn right to Happy Valley Road. Fort Hamilton will be on your right. It's quite a walk but a pleasant one and well worth it. Due to one way traffic, getting to the fort by scooter may not be easy. From Hamilton go along north on Queen Street, turn right on Church Street, then turn left to go up the hill on King Street. Make a sharp right turn into Happy Valley Road and follow the signs. 2) Check out Pembroke Parish and Hamilton City for many other attractions in and around City of Hamilton.